Last weekend I was in New Look, saw loads of lovely things and somehow left with nothing. Fast forward a couple of days and I was ordering from the website. My Delivery Pass definitely helped and the 20% student discount was pretty convincing too. I had a gift voucher to spend and wanted to get some on trend items and staples, the types of thing I can wear through the week at work or for out and about at the weekend. 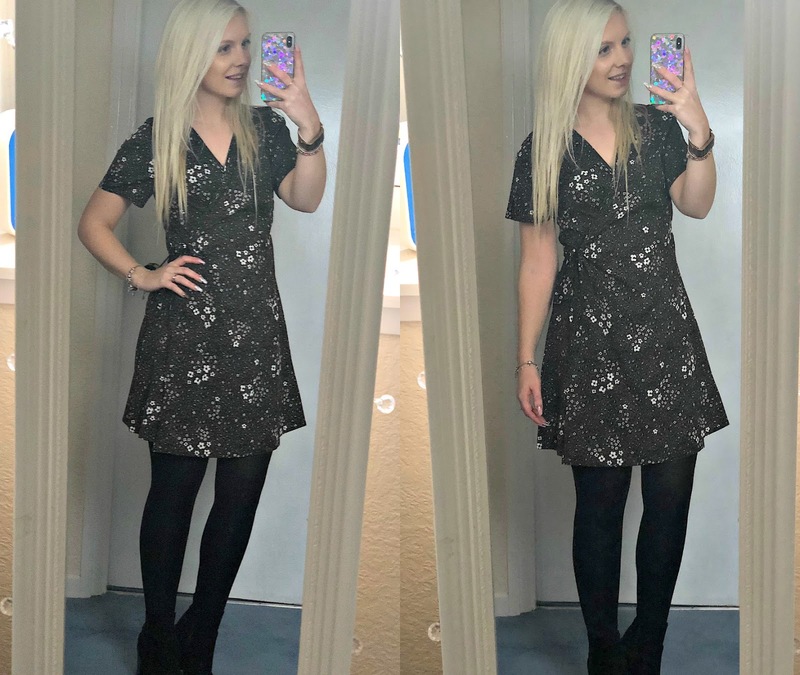 I love New Look for affordable day dresses and after browsing through their range I was drawn in by the Petite Khaki Floral Wrap Mini Dress. The print was giving me animal print vibes and the khaki colour is a nice one for winter time and with blonde hair. I wasn't 100% sure if the wrap style would suit me but I thought it was worth trying. I wasn't expecting the dress to come completely undone with the ties - so much so I wasn't actually sure if I tied it up properly. This meant it didn't sit nicely at the top and with the lightweight fabric I didn't know if it was quite so winter suitable. I don't think it's sparking joy. Speaking of animal print, how gorgeous is the Heart Animal Print Shirt? I love the girliness of the pink hearts and the chiffon fabric for being a little more dressy. This is quite a versatile item for wearing casually with jeans or tucked in a skirt or my favourite - under a pinafore. I quite like the long sleeves but it's the sort of blouse that can be worn with rolled up sleeves as well. No wonder this is selling fast on the website. I was getting a bit fed up of how washed out my black jeans were looking and wanted to get a new pair. 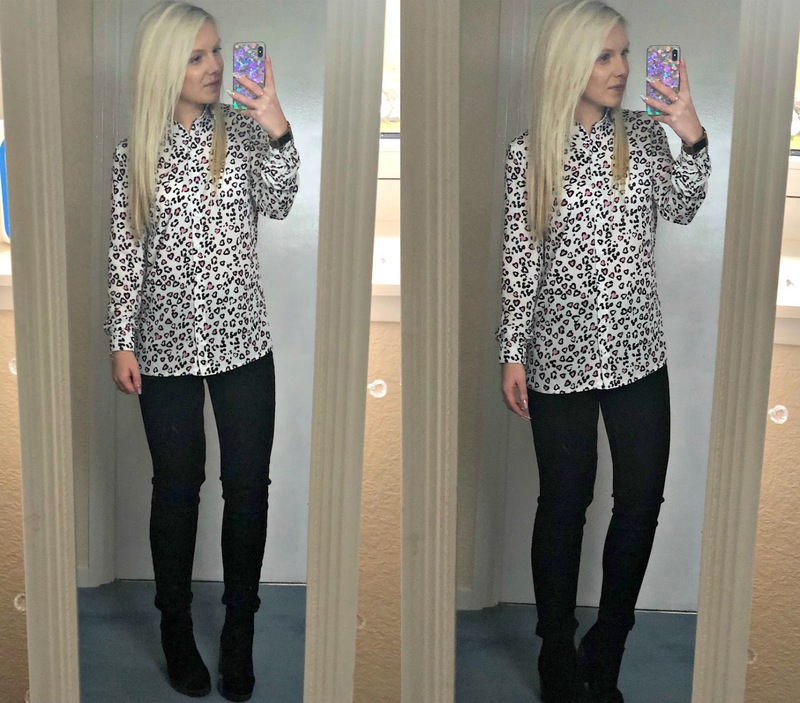 It's a long time since I've had a pair of skinny jeans from New Look so gave their Hallie Black High Waist Super Skinny Jeans a go. Unfortunately they're just not right for me. I'm not sure whether they're just thicker material than I'm used to or whether it's my short legs but they seem to bunch at my knees and ankles. Maybe I need a smaller size or shorter length, but it's just not the look I'm going for. The last thing is quite frankly a wardrobe staple in most people's wardrobe at the moment, especially mine. 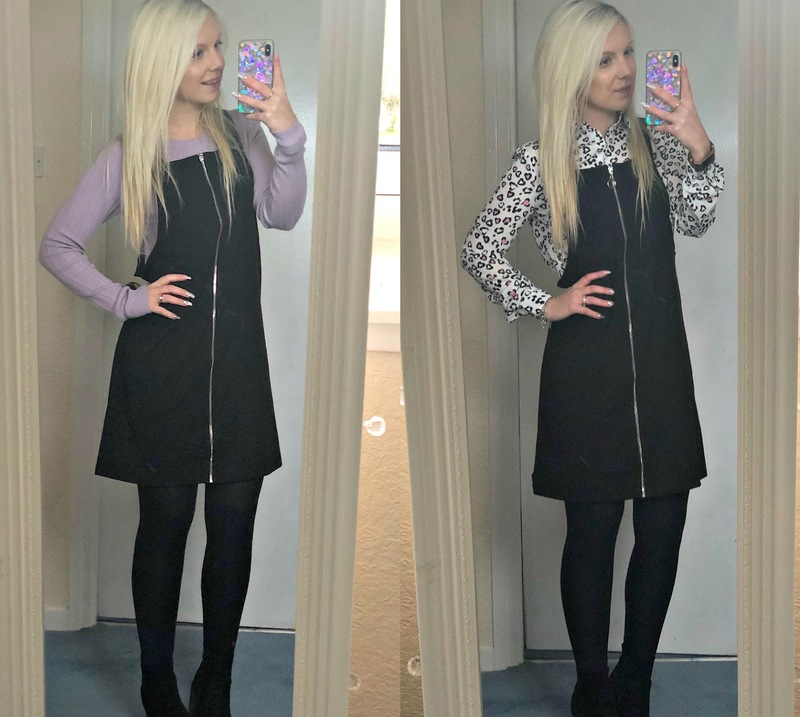 I love a pinafore - denim, printed or plain, and my current black one is a bit big but also very plain and I fancied a new shape. 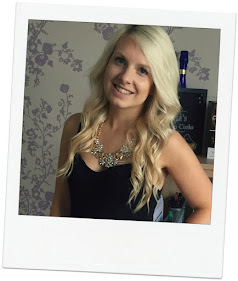 This black zip front pinafore is one of their style steals and was only £12.99! With discount I paid just over £10, what a bargain. I'd recommend sizing down in this, I think it looked a lot more flattering and was still comfortable. This pinafore is perfect over thin knit jumpers or shirts - an easy go-to outfit option.